I strive to provide unparalleled service, experience and professional standards to each and every real estate transaction. As licensed REALTOR's, We understand how important your home buying and home selling process is to you and your family. For more information about our quality services, please call or e-mail today! If the idea of working with Naperville’s premier Realtor® appeals to you, Keith Wagner is your choice. With more than 25 years of real estate experience, you will benefit from his vast, comprehensive knowledge of the marketplace and his specialized negotiating skills to guarantee your financial and personal success in every real estate transaction. It’s no secret that finding an experienced Realtor® in today’s marketplace can make a major difference in a real estate transaction. Whether you are buying or selling, you need the consummate professional who can clearly understand your desires and provide you the necessary market insight to meet those needs. Keith Wagner is in the business of converting your dreams and desires into reality. 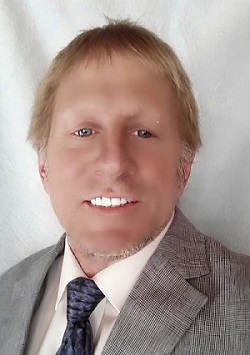 As a Licensed Real Estate Appraiser and real estate investor himself, Keith Wagner understands issues and challenges that are experienced by both buyers and sellers. After graduating from the University of Colorado Keith has spent his real estate career cultivating community relationships that will benefit you. Keith Wagner has been active professionally and civically in DuPage County and the western suburbs of Chicago. In addition to being a business leader, he has served on the board of the RE/MAX Sales Advisory Council, the Realtor Association of the Western Suburbs, as well as the National Association of Realtors and has earned the GRI and CRS designations. Professional achievement of this scale has given Keith Wagner not only the stature he now holds in the real estate industry but also with his clients. Keith Wagner offers you a unique and insightful perspective to the incredible quality of life in the Naperville area. If your immediate future requires counseling in the purchase or sale of real estate, we recommend you contact Keith at his office. Whether you are a first time buyer or an experienced investor, you will find useful information about how to choose the "right" property, making an offer, negotiating, financing, mortgage rates, moving and everything involved in making an informed real estate decision in today's real estate market. Feel free to browse through Naperville Real Estate and Homes to explore all DuPage, Will, Kane and Kendall County communities. Suburbs of special interest include Naperville, Lisle, Plainfield, Aurora, Oak Brook, Hinsdale, Yorkville and Oswego. You will also have direct access to ALL the MLS properties for sale in your area. Featuring extensive community information, consumer links, school information, free reports and answers to commonly asked real estate questions. You'll find everything about real estate within one easy source. If you currently own property and are thinking of placing it on the market, the site contains information about receiving a timely market evaluation, preparing your home for sale, selecting the right agent, pricing your home appropriately, marketing it effectively, going through the inspection process, the final walk-thru and closing. I Truly hope you find these reports, information, tools and resources helpful and I look forward to helping you with your move.